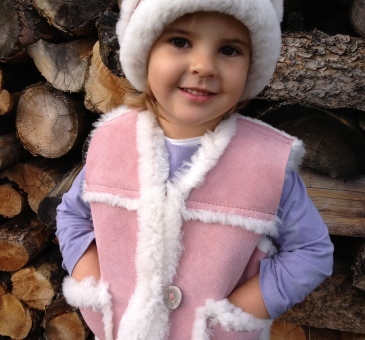 Home Page › Posts tagged "kids vests"
Sheepskin may seem like a material best fit for winter wear, but genuine sheepskin actually features hollow fibers that naturally wick away moisture from the body, keeping you just as cool in the summer as it does warm in the winter. That’s why we only use authentic sheepskin and other natural materials, like cowhide, when creating our handcrafted jackets and vests for adults and children alike. Two of our top sheepskin products for the little ones in your life are our kids’ Lakota cowboy vest and children’s Buckaroo sheepskin vest – both great options for wear throughout the warm summer months.